We’re always on the look out for new recruits! Our usability lab based at our games studio in Wakefield, UK is a vital part of the work we do with our development partners. The feedback we get from gamers helps shape the latest videogames and make them even better. Attending usability sessions at Team17 is a fun way to help us develop amazing video games! The important thing to remember is that you have fun while you’re here. When you attend a usability session with us, your honest feedback will help us identify potential design problem areas. There might also be the opportunity to chat with the development team. Sessions are always different. One day we might ask you to help us with a tutorial or help us decide the best controller buttons for a console release. You could also visit us for a few days to just play a game and give us honest feedback! It’s you, the gamer, that’s important to us. Your opinions help shape our games and we’re always listening. Come and visit us at Team17 and help shape our games into something amazing! You get to play our unreleased/unannounced games. Get fantastic loot for helping us! Sounds great! What do I need to do next? An optional comment box for you to let us know about any amazing (or not so amazing) gaming experiences. The survey should take 2 minutes to complete, if you decide not to answer the optional comment box. You can quit the survey at any time and not submit your details. 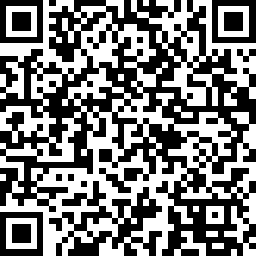 Alternatively, you can use this QR code to access the survey, which will take you to the same link. How will I be able to help Team17 with usability? When you receive a usability email newsletter, there will be an opportunity for you to unsubscribe at the bottom of the email. Plus competitions and the chance to win cool prizes. What happens to my data once I submit my survey? It’s important for you to know that we adhere to the new Data Protection laws (GDPR) that will come into place on 25th May 2018. Your email will be added to the usability mailing list, but will not be shared with any other Team17 newsletter mailing list. You will be also be able to unsubscribe from the email but remain on the usability participation list. If you decide you would like your data to be removed from the usability participation list, please email usability@team17.com. Usability and QA are completely different, but both equally important when it comes to game development. Usability focuses on the quality of the player experience and whether players can understand, and enjoy what the game requires. QA look for software defects bugs that hinder, or halt gaming progress. Why do I have to sign a Non-Disclosure Agreement (NDA)? The first thing we ask you to do is sign an NDA. This means that you cannot talk about your experience with anyone about, or use social media to share what you see and hear while you are visiting us, even after the product is released. Before the session starts we will also ask you to leave your bags and mobile phones away from the computers for security reasons. You will be able to take a copy home with you. You will be asked to sign a consent form when you arrive. This form provides you with details about the session that will take place, your rights, and what we expect from you as a participant, and our rights and expectations as the Company. It will also inform you how we will use your data, and how it will be stored. When you sign the consent form, it shows us that you have read and understood what will happen during, and after the session. You will be able to take a copy home with you. I’d like to attend. How old do I have to be? To visit Team17 you need to be over 16 years of age. However, you can be any age to complete our surveys! I’d like to attend. Does it matter where I live? Yes, but you can still help us. If you live local to the Team17 offices in Wakefield, you will be invited to our offices to participate in sessions. If you live internationally, you can still help out by completing surveys, and participating in open and closed beta tests. You’ll be able to find out about these by checking out the usability newsletter. Can I list my attendance as work experience on my CV/Linkedin? Yes, but you need to list it as Volunteer experience, and not as employment with us. Your title will be Usability Teamster, and don’t forget to list the exact dates you attended. I’ve been picked to attend a session! Can I bring my friend(s)? Due to security issues, and the design of the session, your invite is only for you unless otherwise stated. For multiplayer sessions we might ask you to bring a friend along as playing a game can be more fun that way. What happens to my feedback after the session has finished? The usability team analyse all the feedback, and then pass it on to the game’s development team. Any feedback/comments passed on are always anonymous. Your feedback is kept on a secure PC and will not be available for access by anyone else in the studio, except the usability team. Your session gameplay might be recorded, and this means that your voice will also be recorded. These videos will be shared with the development team. However, your identity will still remain anonymous. Yes! You will receive an hourly gratuity, and some Team17 loot! For longer sessions, we may give you travel expenses, and lunch. Yes, you can! However, we do have a large pool of players who would like to attend sessions so we need to ensure everyone has a chance to help. Expect to wait a few weeks/months before you’re invited back again. We want to make sure you have a fun experience, and would love to invite you back for future visits. However, this all depends on your behaviour during your visit. We have invited you to our Studio to help us and in return, we ask you to treat the session seriously, and to respect the staff who are running the sessions. We do not tolerate visitors who misbehave, are abusive, offensive, or use threatening behaviour. We will end the session, ask you to leave, and you will not be invited back to participate in future sessions. You will also not receive your gratuity. If you’ve been recommended to attend by your tutor/lecturer they will also be informed of your behaviour.